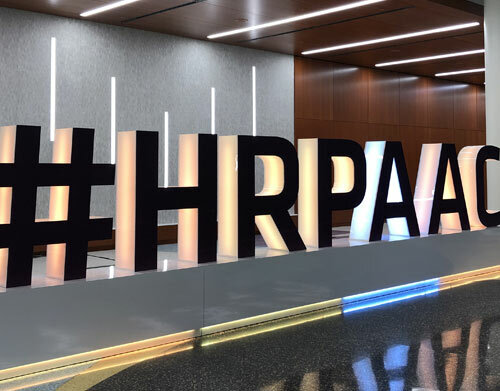 Last month we had the privilege of attending the Human Resources Professionals Associations (HRPA) Conference and Trade Show in Toronto, Canada. This event is Canada’s largest human resources conference, attracting over 4,500 HR and business professionals. Along with the dozens of exhibitors showcasing a myriad of products and services, the conference also included many informative and inspiring presentations and sessions. Over the 3-days of the show, we met up with many old friends and got to know many new ones. 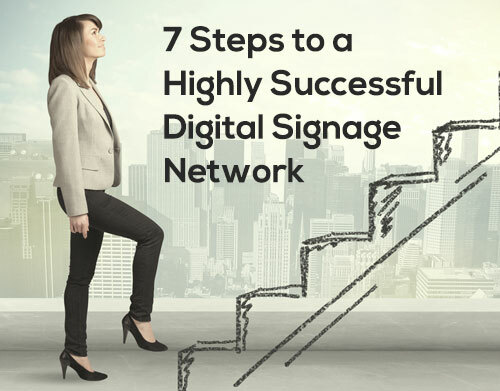 We had some great discussions and heard how some companies are successfully using digital signage as part of their employee engagement strategy as well as some of the challenges and misconceptions people unfamiliar with digital signage have. In this post, we’d like to address the top 3 misconceptions around digital signage that were expressed by some of the attendees we spoke to. As you read this post, please keep in mind that these discussion points are in the context of corporate communications. The first item relates to understanding which department digital signage falls under. This appears to be causing a lot of confusion in some companies and the failure to come to an agreement on this can interfere with the adoption of this powerful communication tool. Because digital signage involves computers and screens, many understandably feel that it falls under IT. 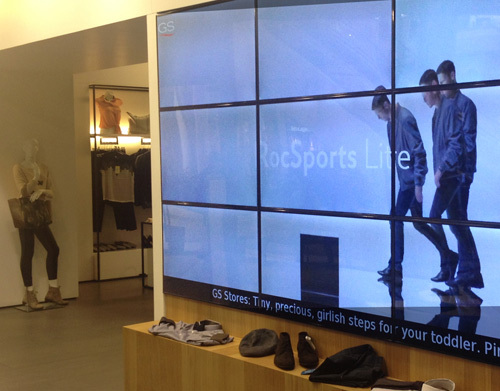 Others look at digital signage as an advertising medium and as such, it falls under Marketing. In the corporate environment, we believe that it helps to think of digital signage as a communication tool rather than a piece of hardware. IT may be involved in the installation and setup, whereas Marketing may want to make use of the displays to inform visitors of new products and services. However, the main focus of digital signage in a corporate environment is to engage, educate and empower employees, which falls firmly in the domain of HR. The second misconception is one that we come across a lot and that is the use of consumer grade displays and media players for digital signage. We’ve covered this topic in detail in another post, so we’ll just mention some of the main points here. When it comes to displays, many consumer grade screens cannot be used in portrait mode, are susceptible to burn-in (ghosting on the screen that won’t go away), are difficult to view because they are not bright enough and warranties may be reduced or made invalid if the device is used for commercial purposes. For media players (the computers that play the content on the display), they are often built with less reliable components, they are not “hardened” for digital signage (for security and reliability purposes, everything not related to playback is removed) and they often come with the Windows “Home” version which cannot be used in a corporate environment under the terms of the license agreement with Microsoft. The third misconception was a bit more of a surprise, but came up often enough that it merited mentioning and that is the use of corkboards to share important company information like changes to benefits and policies, corporate and employee successes and event announcements. 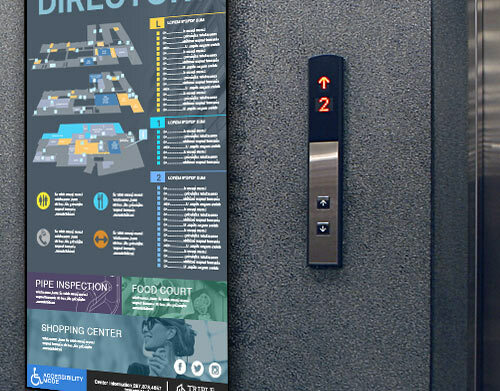 Over the years, our customers have mentioned that replacing corkboards was one of the reasons for using digital signage. They explained that maintaining the content was time consuming, sometimes old and irrelevant content remained on the corkboard far too long and they had absolutely no control over what others posted. Upgrading to a “digital corkboard” gave them complete control over the content on all their displays regardless of their location and could be updated remotely using any modern browser. Corkboards may still have a place for more personal employee to employee communication like an item for sale or someone seeking a carpool companion. 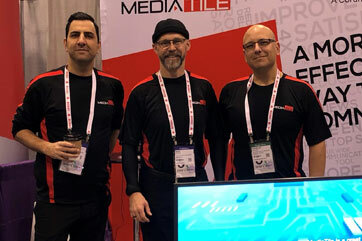 After the show, our team commented on how enjoyable it was to speak with various HR professionals who showed a keen interest in using digital signage and asked many poignant questions. Many expressed that boosting employee moral was among their top priorities. The ability to use colourful images and dynamic videos to attract the attention of employees and further taking advantage of touch enabled displays to engage employees, was something that was very appealing. It was encouraging to see the number of HR students that attended the show to keep up with all the new and excited trends in HR. Overall, the HRPA Tradeshow was both enjoyable and successful. We are definitely looking forward to attending next years show and we hope to see you there.